A ribbon cutting is planned Wednesday, followed by a gala featuring conservation leaders and invited guests, including past presidents, country music legends and Hollywood celebrities. The event also serves as a fundraiser for Wonders of Wildlife, which is a not-for-profit charity foundation. WOW officially opens to the public Friday, Sept. 22. Last week, media were allowed a sneak peak of the Great Oceans Hall Aquarium. It features a 300,000 gallon circular “open ocean” habitat, including zebra sharks and leopard rays. Spectators will also see historic fishing boats of Ernest Hemingway and Zane Grey. Photos from KSMU photographer Ryan Welch accompany this post. We’ll be sharing more photos from inside the complex as we see them this week. WOW is being dubbed the world’s largest, most immersive wildlife attraction; a 350,000 square-foot exhibit with 1.4 miles of immersive trails and 1.5 million gallons of water. It’s unclear the final amount Bass Pro Founder Johnny Morris spent on WOW, which has been under renovation for more than nine years. Estimates in summer 2016 put the figure over $100 million. The Springfield News-Leader reported Sunday there could be $290 million invested in the facility. Once it opens to the public Friday, hours will be daily from 10 am – 8 pm. WOW will close earlier on off-peak dates to be announced later. Initially, tickets will be sold on a timed-entry basis to prevent overcrowding and long lines. Pricing and other details can be found here. 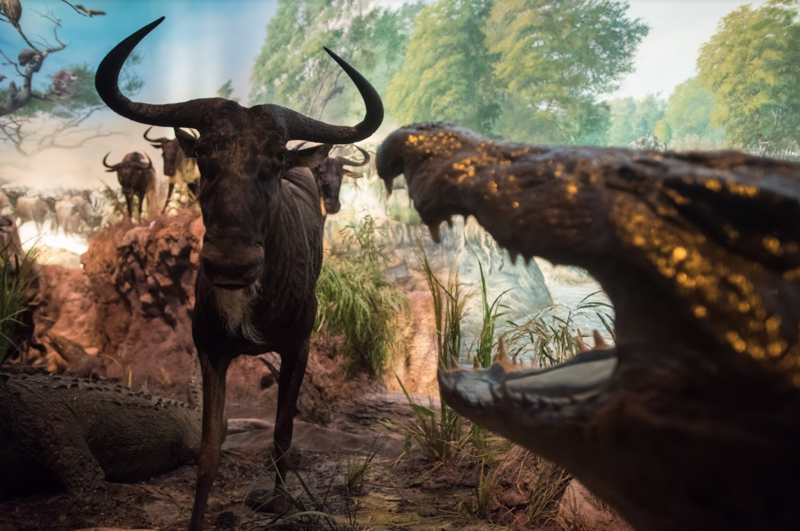 The opening of Bass Pro Shops’ long-awaited Wonders of Wildlife National Museum and Aquarium has a date. The Springfield-based company announced Wednesday that the grand opening of the complex, which features a 1.5 million gallon aquarium and over a mile of immersive trails and exhibits, is set for September 21. The date coincides with National Hunting & Fishing Day.